A growing number of companies are hoping that Artificial Intelligence (AI) will solve food production problems. X, the research lab of Google parent Alphabet is working on several projects on how to apply artificial intelligence technologies to improve farming and food production. Astro Teller, the head of the research lab X, was speaking at MIT Technology Review's EmTech Digital Conference in San Francisco, when he said that his staff was “spending more time with farmers” to better learn how cutting-edge technology can help improve crop yields. Crop waste is a major issue (20 to 40 percent is lost every year to disease and pests, according to the UN), and even the more productive farms may struggle with low yields or poor quality. AI could not only reduce losses, but improve the volume and quantity. That, in turn, could reduce malnutrition and boost the quality of life for a large swath of the human population. 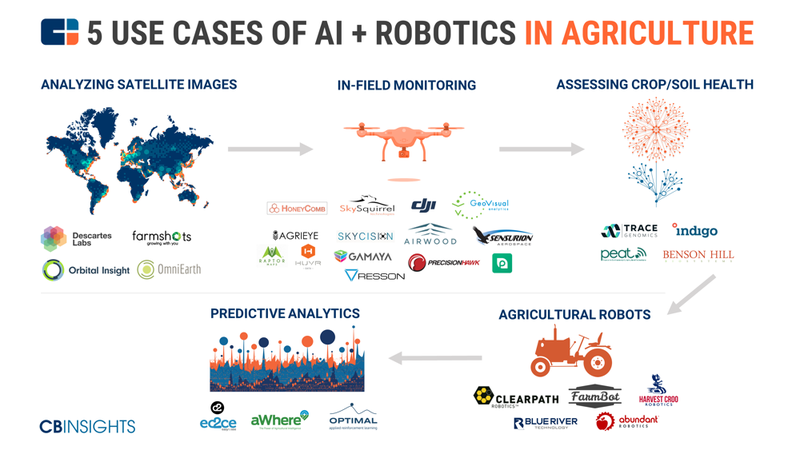 Agriculture is a natural focus for X because of the size of the industry and the opportunity for machine learning and artificial intelligence to add efficiencies. According to an article published by Technology Review, Teller said that farming is a hugely complex undertaking, so X isn’t taking it lightly. He cited several areas where machine learning could potentially help farmers. One would be using the tech to amplify their expertise in crucial areas like deciding when to harvest crops or apply irrigation. Teller declined to talk about specific projects that X is working on, but he did explain that X is now willing to “place more bets” on farm tech based on its preliminary research, which he did not reveal. Another example that X could be looking at would be to plan their farming in environments where climate change is making it ever harder to forecast weather patterns and predict how pests and other factors can affect production. Take for example; tomato farmers who can recognise whether a tomato is ripe or has a mold that could infect nearby plants, or how drones or robots with computer vision could help farmers decide the optimal times to pick their crops, or more specific areas to spread pesticides. One thing that X will not pursue is vertical farming that involves building large buildings as greenhouses to grow crops. Teller said that X previously explored vertical farming, but decided against it, partly because only a limited number of crops—none of which are staples crops like potatoes or corn—can grow in those environments. You shouldn't expect any tangible results in the near future, although X has typically focused on projects where practical applications are at least on the horizon -- think Project Loon.